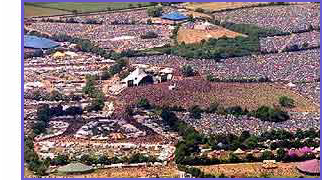 Glastonbury Forum: PROTEST! Against Queen. Edinburgh 30th. We have 0 member(s), 52 guest(s), and 0 anonymous users online. Topic: PROTEST! Against Queen. Edinburgh 30th. PROTEST! Against Queen. Edinburgh 30th. Location - In the vicinity of the Scottish Parliament, Holyrood, Edinburgh. (The planned date of the address by Queen Elizabeth in the Chamber of the Parliament building). The planned protest is intended to express opposition to the presence of Queen Elizabeth in the Scottish Parliament. Therefore the time and place of the protest is planned to, as far as possible, confront the Queen's physical presence in the Parliament building. The Queen may have been invited by a majority of MSPs but she was NOT elected by the Scottish people and therefore her right to rule over Scotland is open to CHALLENGE, and that is the point of the protest, to challenge the Queen's rule over Scotland. It is an anti-monarchy, pro-democracy protest. The inspiration for the protest is the republican ideal - which is that a people, a nation, specifically, here, the Scottish people and nation should be entitled to elect our own head of state, a President and not have a monarch, Queen Elizabeth, or any other King or Queen, imposed upon us Scots without even being elected to the position of head of state. Therefore I intend to protest at the above mentioned time and place and I invite all Scottish patriots or republicans from every nation in the world to attend this protest with me. The last time I was ordered by the police to stand at a designated protest area beside Holyrood Palace, and I imagine that the police may wish to direct myself and other protestors similarly this time too. and last time, if you remember, the Scottish Socialist Party and others organised a declaration of a Scottish Republic on Calton Hill. So please get yourselves organised and meet me outside parliament, or as close as the police will let us get, on Saturday 30th June. What's wrong with Queen Elizabeth? Follow these links to find out why Queen Elizabeth is such a problem as a bad head of state for Scotland, or anywhere really. Posts: 404 how to win friends and influence people, not the best way to welcome yourself to a new site, how about saying hello? Posts: 1434 This is all a bit, well, sixth form isn't it? Rather than spreading conspiracy theory and ranting, as Polly said, it would be better to have introduced yourself and perhaps had a sensible discussion rather than posting in REALLY BIG LETTERS. Posts: 1015 I certainly won't be going. And I'm refraining from saying anything else on the issue, for fear of starting an argument! how to win friends and influence people, not the best way to welcome yourself to a new site, how about saying hello? "Hello Polly". Now you've got me sounding like parrot. An open letter to the Members of the Scottish Parliament. 3rd Session, Elected May 2007. The 3rd session of the Scottish Parliament has got off to just as bad a start as the previous two sessions. You were not long in the door of the parliament before you were all swearing allegiance to Queen Elizabeth instead of to the Scottish people whom you should be serving but whom you seem to have turned your backs on already. You’ve sold the people out for the Queen at the outset and now it seems you are intent on rubbing the Scots’ noses in your betrayal of us Scots in favour of Elizabeth by inviting that woman to address you in parliament on 30th June. I can only assume that you have been very poorly educated and informed in your lives - but Queen Elizabeth has no right to be head of state of Scots as she has not been elected by the people of Scotland. For that reason and as experience of her unjust courts, her brutal police and her harsh prisons has taught those Scots who have dared to raise their voices in dissent, or dared to disobey her state, the Queen’s rule is undemocratic and an affront to the dignity of Scots. You were elected - you should have rights to rule democratically in Scotland - the Queen was NOT elected and she should have no rights in our affairs - but the 3rd session of parliament seems intent on surrendering your rights, and those of the people of Scotland, over to her, Queen Elizabeth. Therefore already the 3rd session of parliament is an embarrassment and a disgrace to the proud nation of Scotland with this display of the oppression of our nation under the Queen and under the royalist, fascist police state which serves the Queen and oppresses the people. So I intend to protest against Queen Elizabeth attending parliament on the 30th June and if there is any single one of you who does not wish to be seen to betray the Scottish people then I suggest that you do not sit there like royalist lackeys listening to Queen Elizabeth but instead you PROTEST against the Queen and against the stupidity of your fellow MSPs for inviting that Elizabeth to rule Scotland when she has no business and no competence so to do. Or if you are not brave enough to join me in protest then at least make your excuses for the 30th June and avoid sitting there before the Queen like royalist fools. Do you honestly believe that you have yourselves a free parliament when in the 2nd session, 4 MSPs were banned from parliament for a whole month for daring to protest in parliament? Those MSPs were not free to protest in parliament and you too may be denied the right to speak your mind or protest in parliament; denied ultimately by this Queen and by her officers who are loyal to her but disloyal to the freedoms of the Scots. If you as a privileged member of parliament are not free to speak out and protest in parliament as you see fit - think how much more difficult it is for the rest of us Scots when we wish to speak out in protest. Very difficult. Difficult though it may be, I as a proud Scot am not simply willing to surrender my freedoms and those of my nation to Queen Elizabeth and her state. Therefore I do intend to protest outside parliament on the 30th, even if you will not protest inside parliament. You may be willing to betray the Scots for that Queen - I am not. PS In order to make up for any deficiencies in your education, I have produced the Scottish National Standard Bearer website with which I suggest you acquaint yourself with as time permits. The "greeting" or "grovelling" place. Where the former Presiding Officer George Reid bowed down before Queen Elizabeth in 2004 (view video) and where the new Presiding Officer Alex Fergusson may do the same on the morning of 30th June. Satellite view of the grovelling place. Click for a bigger picture. If I was in charge of Scottish "Freedom Fighter Forces", I think I'd probably place my snipers at the "Firing" places which are buildings which look to have the right field of view to take the Queen out when she was somewhere around place "G". The "heckling" or "hit-man" place - a good place to infiltrate yourself along with well-wishers - keep a low profile until the Queen turns up then shout your protest or take your best shot at the Queen if you are an assassin. The screen place. Somewhere near here there will be a giant screen erected to broadcast the Queen's address to parliament. (Click for the latest on that from the official Scottish Parliament website.) Someone really should pull the plug on that! Armed police - not just here, everywhere! There will be plenty about to protect the Queen. I suppose it is too much to hope that they would point their guns at the Queen instead of at peaceful protestors. The designated protest place - where the police want all protestors to assemble, away from the crowds where they can keep an eye on us and keep us under their guns. It is a very exposed location. No cover at all. Personally, I would not lead my protestors to that protest location to be sitting ducks for the Queen's police who think their murder of Jean Charles de Menezes on the London Underground was legal! I may end up there on the day because I will be obvious to the police in my standard bearer outfit and with my protest placard. But if you really want to make an impact with your protest, perhaps place "H" is better? In case I am misunderstood about this. I've no intention myself of doing anything other than having a quiet wee protest on the 30th June at the location which is designated by the police. If the Scots wish to live as slaves under the harsh rule of Queen Elizabeth and her royalist, fascist police state - then that's that. It is not what I want, but I don't decide what happens here in Scotland - I only advise. I am simply laying out HOW the Scots can free ourselves and HOW to free Scotland from the Queen's tyranny, if that's what the Scots, in their wisdom, decide to do, now or in the future. what you are posting is close to spam you have had no real interest through here and you have no contribution to the site, are you a Glastonbury fan? you do realise this is a Glastonbury site? hey these are nice caring people who wouldn't want to leave the people of Scotland at the mercy of murderers the Queen is too incompetent to stop. Maybe, they will help us Scots out? If only there was some way of telling them what the problem we have here is? And maybe being in England, as they probably have a similar problem with the Queen down there (but don't know it, same as most Scots don't know it, because the BBC never explain it to anyone)? 16 children and their teacher murdered at the Dunblane Primary School massacre at the hands of a gunman allowed to keep guns by the state. More victims of a UK state with an incompetent head of state - the Queen. So that's why I posted here. I am a caring person who is trying to save the people of Scotland - so I don't see myself as a spammer. guns are a problem illegally aswell is this the Queens fault? Drugs are a problem, her fault too? and why are you only trying to save Scotland are the English to suffer? I thought we were all part of the commonwealth and those people who make parlementary decsions are elected officials in all arease of the United KINGDOM the clue is in the name, what do you sugest this island is to be called now then? I'm just back from Glasto; I'm tired and a wee bit narked so this may be a wee bit more terse than I normally am here. The right to protest is a right we're having removed, protesting as you do annoys me because you're a fruitcake with half-baked ideas and no idea of how things work. The Queen never killed kids in Dunblane; a f**king psychopath did and it does those killed a disservice having you tie them into your little paranoid fantasy. You're one of these nationalists who spout nonsense about 'Freedom from the Queen/English' but have no f**king clue how things would work with an independent Scotland based upon your insane idealogy. You want a debate? Fine, but don't spam this site & don't be a smartarse either.